Here at Överstekvarn Chili Gotland we have a passion for growing chilli and creating exciting products. 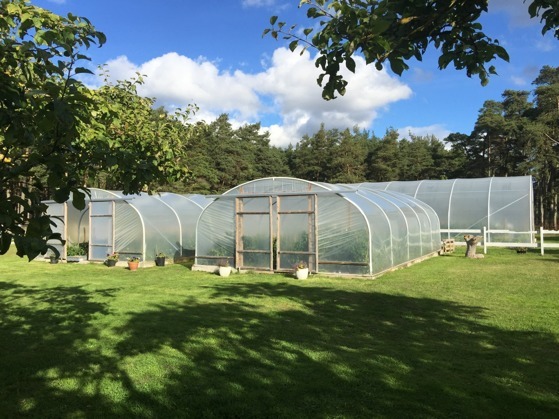 All the chilli we use in our products has been grown here in the greenhouses on our farm, Överstekvarn Gård, in Lummelunda on the Swedish island of Gotland. The greenhouses are open to the public during the growing season, and visitors are welcome to look around. We also have a farm shop where you can taste and buy sauces, chutneys and spices, or take home a plant or two. Read more about our growing season here…. At the end of February 2017 the Gute Deli brand separated from Gute Vingård to become part of Överstekvarn. 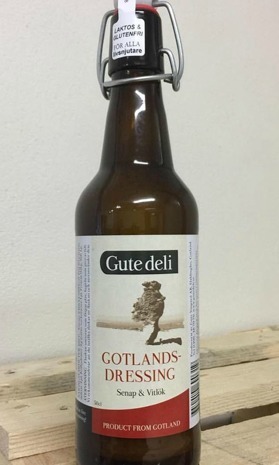 Best known for its Gotlandsdressing, Gute Deli has been part of the craft food landscape on Gotland, as well as mainland Sweden, for more than 12 years. For Överstekvarn this means access to a variety of great recipes as well as bigger production facility (our guest house kitchen was not keeping up with demand) allowing us to produce in much bigger quantities. The only visible changes at Överstekvarn will be the new Gute Deli products in our farm shop (currently undergoing an expansion). All chili production, plants for sale and farm shop remain in Lummelunda. For Gute Deli, we are reviewing all the previous products with a plan to re-release the most popular – we’ve already had a few requests. We are super excited to bring you our new range in 2017…. In December 2016 our new Mustard was awarded FIRST PRIZE in the regional stage of the “Matverk 2017” competition! The winners of the regional stages are invited to the final, this year to be held in Nyköping, where the overall 2017 winner for Sweden will be announced. 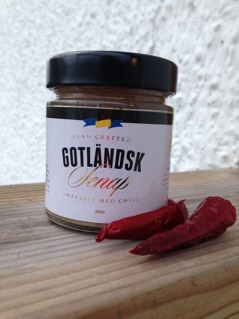 Our ‘Gotländsk Senap’ Gotland Mustard, with a taste of chilli, was test-released in November. Unusually for us, this mustard is not all about the hot chilli. Its hottest component is the mustard, which is strong by Swedish standards. It is best described as a hot, medium ground, sweet mustard it has a rich and fruity flavour with an undertone of chilli. The win was covered by the hela gotland media, see the article here. 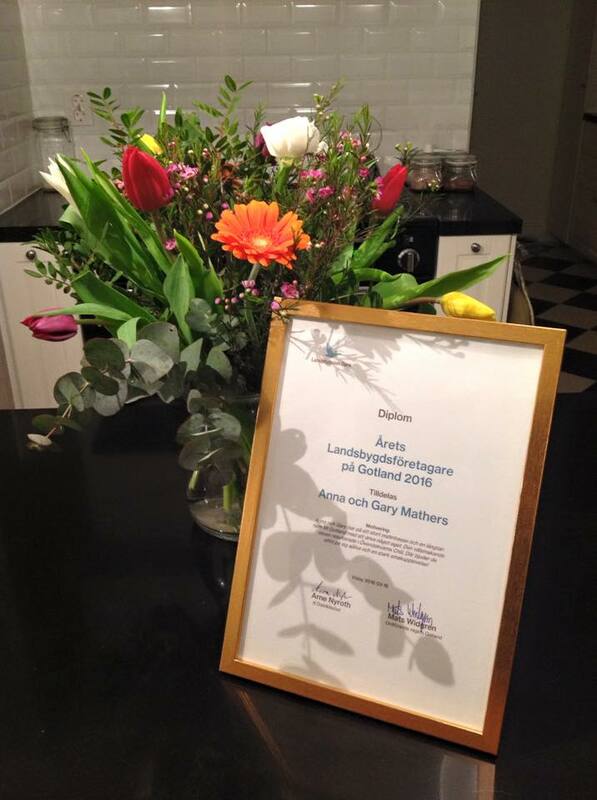 On Thursday 16 March 2016 we were invited to attend Landshypoteks regional annual meeting, on Gotland, to present us and our business. At the end of the meeting we were surprised, and excited, to be awarded the prize for Rural Entrepreneurs of the Year for Gotland. We would like to thank those that nominated us, and we hope to continue to grow the business for many years to come. Many thought we were a little crazy to start a chilli farm back in 2012, but with luck, a bit of hard work and some vision we seem to be on the right path! From November 2015 we began working with Färskvarukompaniet Börjesson & Nordman AB for all our product sales and logistics for the Swedish market, Excluding Gotland - On Gotland we continue to manage products and distribution ourselves. Honesty box! Cash, Swish (Swedish Payment App) or credit card if we're here. 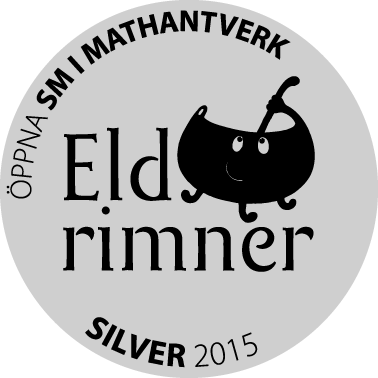 We are happy and excited to announce that our Chilli and Rhubarb Chutney took the silver medal in the Chutney category in Swedish Championships for Handmade food (Eldrimners SM i Mathantverk) in October, 2015. The competition is open to entries from all of Scandinavia, not only Sweden. The jury's feedback was "attractive chutney with a kick!" Put a little sting in your day! On our recipes page you will find ideas on how to use our products, such as marinades or in cooking, for everyday meals or for a special occasion. We would be pleased to hear how you use our products, perhaps we can feature your recipe here.